A third-person shooter for PC, from Square Enix. 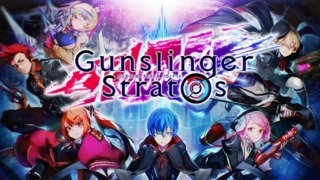 The third game in the Gunslinger Stratos franchise, and the first for a home platform. A closed alpha released in February 2015. Instead of the dual light gun controls of the previous two arcade games in the Gunslinger Stratos franchise, Gunslinger Stratos Reloaded will instead use the standard WASD and mouse controls typical for third-person shooters on PC.